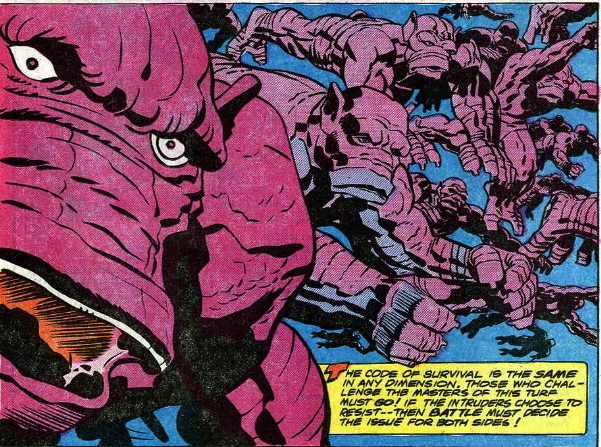 Where there is Kirby, there be monsters. I have to say, the story of this multi-issue story is just…Nonsense. Cap goes to another dimension to fight monsters who steal things from us, and then he brings back a few to Earth so Spider-Man and Cap fight them. And at least there’s Batroc.